The Studio is located in Huntington Beach, California, please feel free to call and make an appointment for your Art Glass Needs. 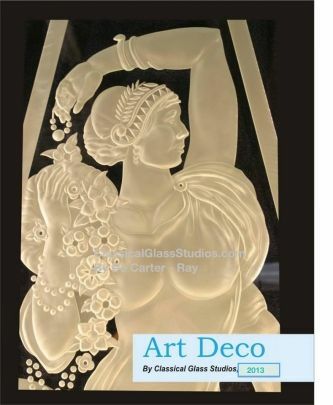 Meet master Glass Artist De Carter - Ray - Bringing over 32 years of experience for your custom art glass needs. Consultation long distance is not a problem using email and phone. With over 32 years experience in the art glass field I have completed and shipped fine art pieces throughout the U.S. , Belgium, France, Germany, and Asia. What I do: I educate the client as a part of the process, we go through photographs of past work, select a kind of glass that would serve your special need. Every project is different as are the clients and their needs. Preliminary conversations will include what is the design theme, what are the architectural elements to take into consideration. Where is it going? What is it's purpose to achieve, all these need to be carefully understood by both of us in order to move forward with a piece that is right for you. Is it modern, contemporary, or traditional in scope. Is it a privacy screen, is it only private in particular places, where is that located. Who are your team members, whether it be personal, or Architect, Builder, Designer, or, Decorator. What are the building code, and safety requirements?. Pricing: We agree on a price range of the end in mind, sometimes as people are better educated about glass and the possibilities they may wish to add time and labor to the production than originally thought. Lower end work is around $95.00 per square foot to the higher ranges of $250.00 per square foot. Deposits are received based upon the complexity of the glass, at which time drawings are done to scale, sent to the client for approval, usually two, possibly three different versions. The third drawing will be what I think will look great given the identifiers thru the project to this point. Often my new ideas are adopted and that is how I have the opportunity of creating art from my own hand. If not well that is fine and good, at least you have the opportunity of getting a different take on the glass than originally thought. When the design is chosen, a price is agreed upon, we sign the agreement, and the chosen illustrations. I request 50% deposit up front, payment of the finished window upon completion of the build. Instillation is separate. As the project progresses I often send photographs of the pieces being made to the client to keep them abreast of the progress being made. When the piece is completed, the installation is scheduled. I have had the privilege of working in some of the finest homes in the country, I am familiar with design teams, Architects, Decorators, Building Contractors, Home Owners, as a life long artist I look forward to meeting my new Patrons, please call for an appointment, I look forward to hearing from you.